If you’re looking to level the playing field this fall on public land elk, then listen up to these three out-of-the-box bowhunting tips. Bowhunting elk on public land with an over-the-counter tag is one of North America’s most challenging pursuits. 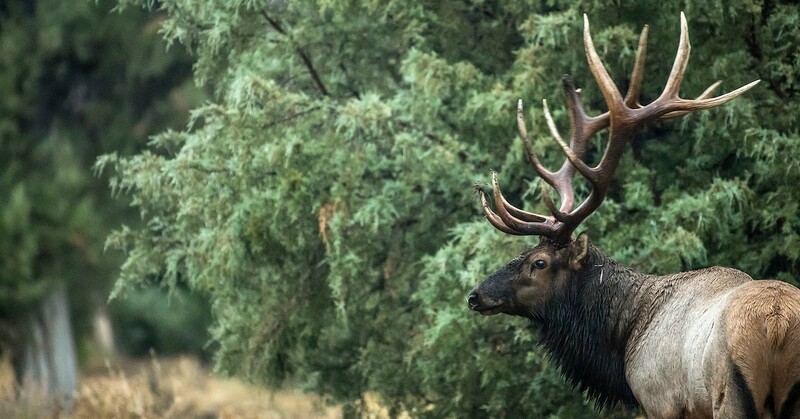 Western elk success rates average approximately 10 percent, at best. However, your personal odds can climb if you become a good elk hunter. The best elk hunters I know believe a good elk hunter is one who regularly gets within bow range of elk. If this is something you struggle to do, then consider these three points. Ozone generators such as those from Ozonics are commonly seen as whitetail tools, but I won’t go elk hunting without mine. Elk have more powerful noses than whitetails, plus, mountain winds are shifty. When I’m moving, I hold it in front of me or strap it to my pack. When I set up to call or hunt from a treestand, I mount it to a tree. Versatility is a great elk hunter attribute. In other words, don’t marry yourself to calling. While it can be productive, it can also drive you mad. Why? Public land bulls sometimes flee when you call due to hunting pressure. Trail cameras can help you formulate backup plans when calling becomes fruitless. Trails, wallows and waterholes are obvious locations, but don’t overlook small springs or seeps near dark timber. Carefully tip-toe in and check the camera every other day to get the scoop. To expand on point No. 2, don’t head for elk country without a treestand or two. I’ve had unbelievable encounters from a treestand placed over a seep that regularly produces elk trail camera images. When temperatures rise, my time is best spent near water in the dark timber. If bulls aren’t bugling, they probably won’t respond to calling, and the farther you hike through the timber, the more elk you’ll bust out. Posting up over water is a great way to not spook elk and keep bowhunting.